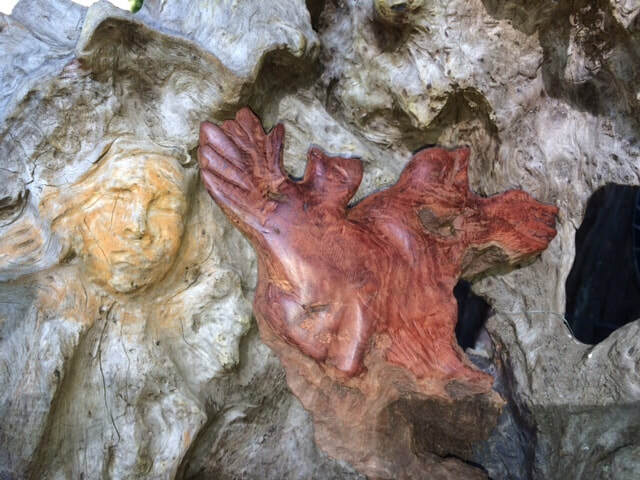 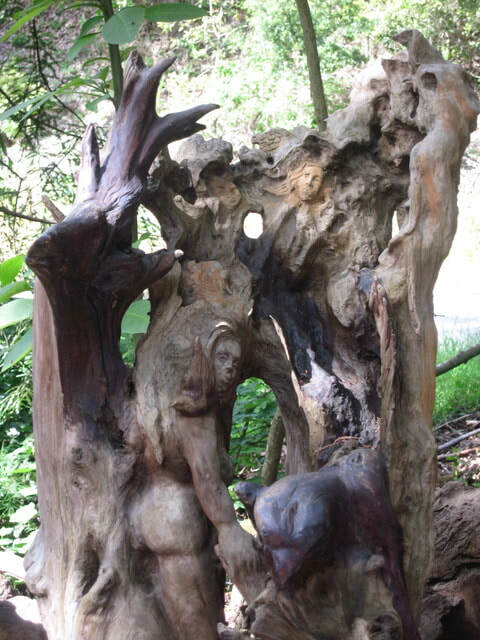 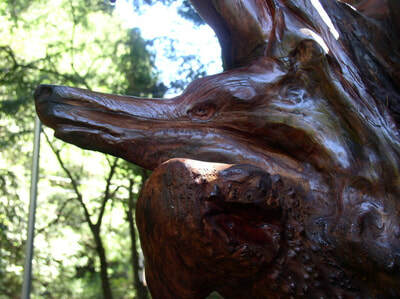 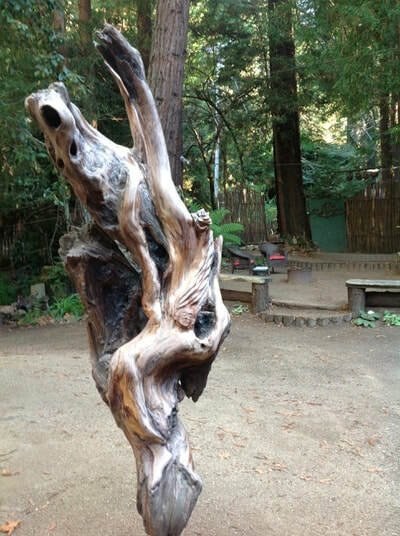 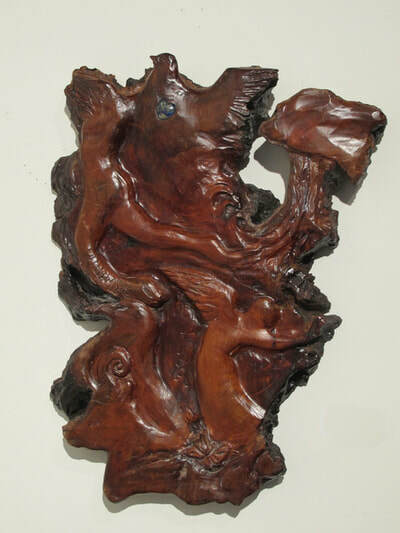 I first began working in Redwood sculpture in around 1996 when a friend encouraged me to try it. 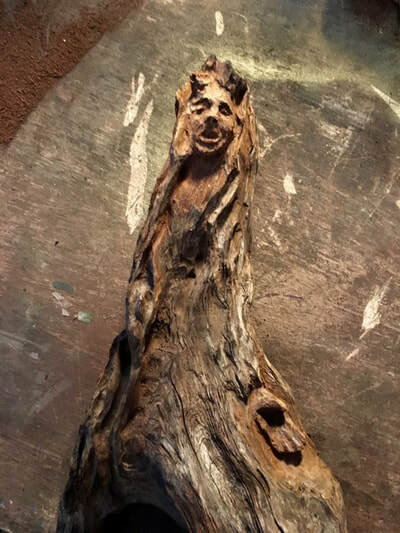 It felt wonderful to bring forth the imagery already within the wood. 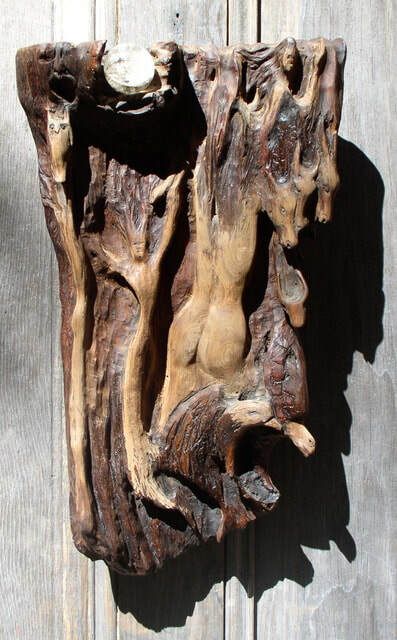 In a similar way to painting, I love to uncover the messages through imagery I see in the patterns and shapes of the wood. 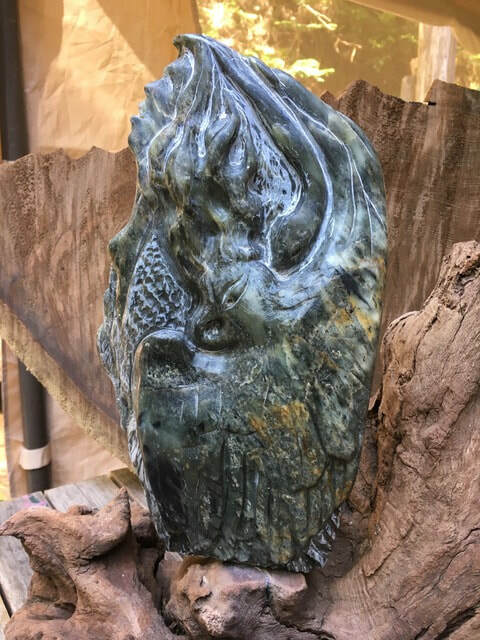 After that when I had my art gallery in Big Sur I'd asked the Universe for a paid commission that was "spiritually juicy" so that I could continue to learn to carve while helping to pay my bills! 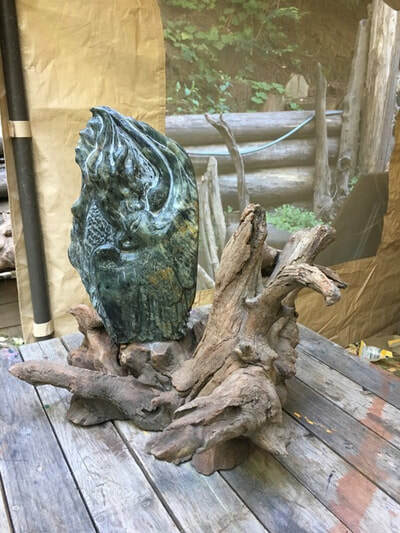 The following day a couple came in for Essence Portraits and while painting Judith Lief, she asked if I knew an artist that could create a sculpture for her beautiful spirit garden. 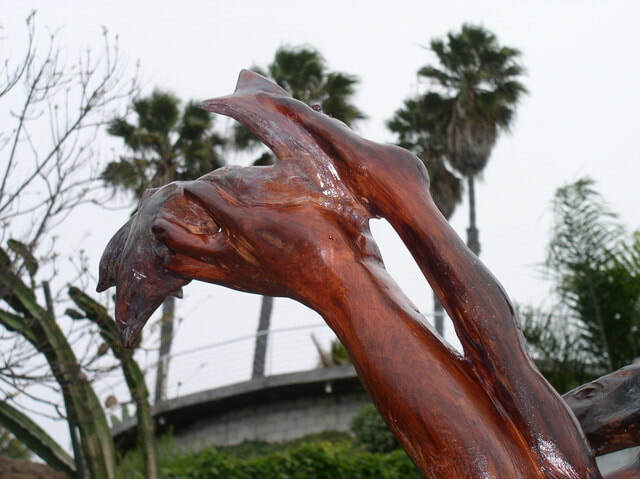 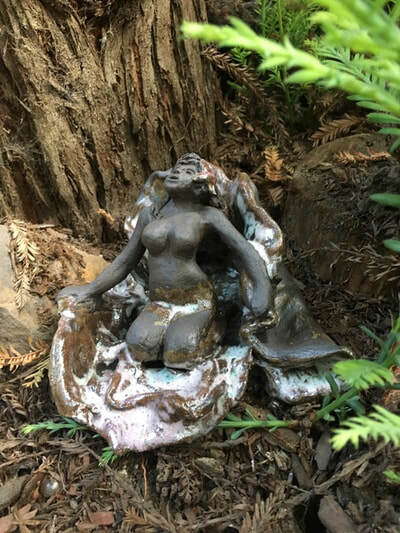 Of course I knew this was the answer to my prayer and wound up doing a large Redwood sculpture and transporting it from the forest where it had once lived, to the open amazing garden in La Jolla. 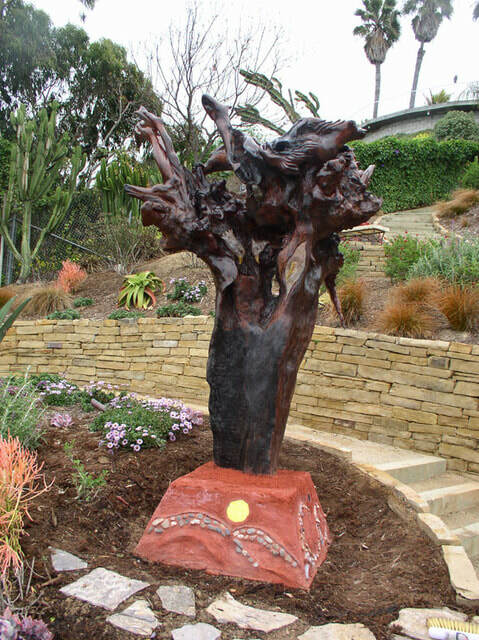 The sculpture was dubbed "Aitz Chaim" by Father Charlie who came here for a sendoff ceremony for it the night before taking it to La Jolla. It means "Tree of Life"....commissioned by Jack & Judith Lief! 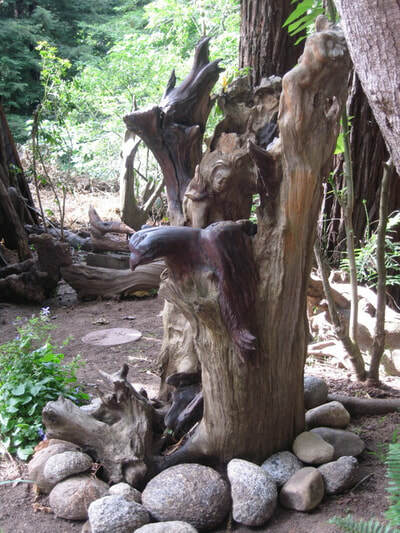 I began working on the large Redwood root, digging out the dirt and soft areas. 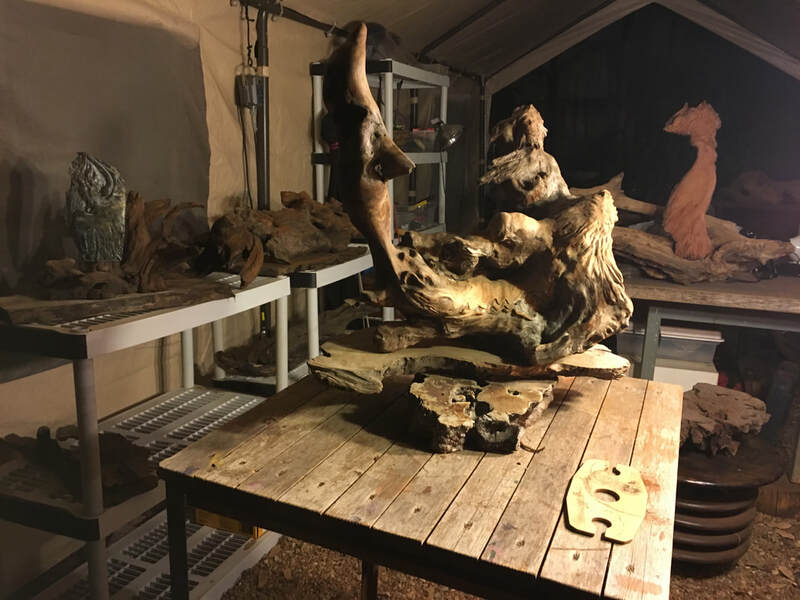 Soon after, I had a vision one night where my dog Mercy and I returned from our daily River walk and two giant trees stood in front of my gallery door. I stood before them, the size of a tiny bird. They conveyed to me in their "tree energy language" that each time I make a piece of art from a tree that once lived, I honor that tree. 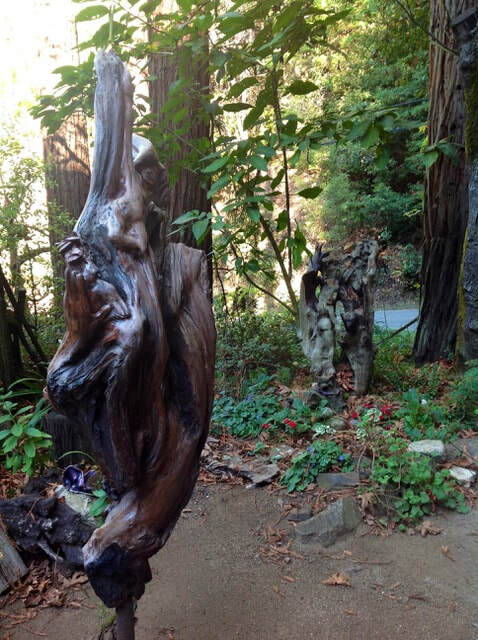 They welcomed me to their realm and I felt filled with joy and inspiration to continue. 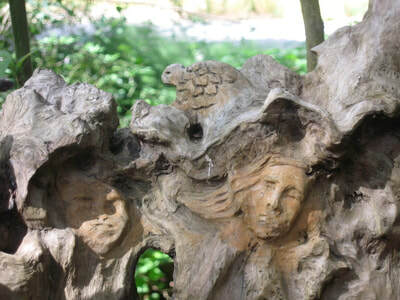 I look forward to more carving and invite commissions.....or call for a visit and choose one already here.